OROP has been a long-standing demand as far as defence forces are concerned. 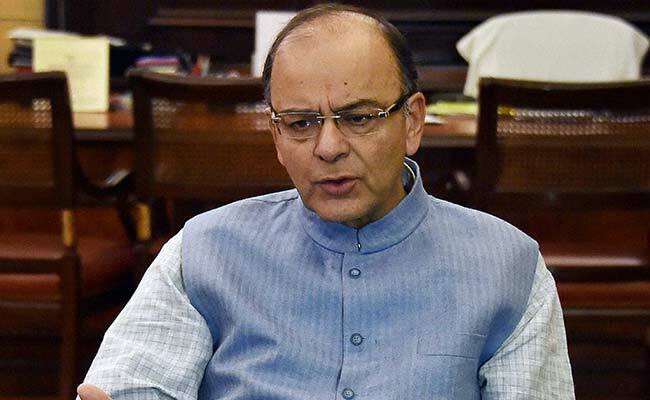 NEW DELHI: Finance Minister Arun Jaitley said on Tuesday that there was no "standardised definition" for the One Rank One Pension scheme for retired defence personnel, adding that the earlier "interpretation" for revision after every retirement was not viable. Mr Jaitley was responding in the Rajya Sabha to a question by Biju Janata Dal (BJD) member Anubhav Mohanty, who wanted to know why the definition of OROP had been changed. "OROP has been a long-standing demand as far as defence forces are concerned. OROP did not have a standerdised definition as such there were different interpretations given," Mr Jaitley said. "After a detailed consultation between the government and the organisation of the retired defence personnel, the defence ministry came out with a proposal that was announced in 2015 which the government has committed itself to implement. Under that proposal, the revision takes place after every five years," he said. "The impact of the definition as you are mentioning, it was the earlier interpretation that was given is at small periodic intervals when every employee retires, then you would have a situation where a large number of revision itself would take place which was financially not viable as far as the government is concerned." The minister said government has the responsibility to spend on various areas, adding "defence forces certainly is one of our prime areas and after consultation this particular definition which has been given by the ministry has been implemented by the ministry." Mr Jaitley also said that the pay commission for central government employees "meets" every 10 years. "Pay commission meets every 10 years, in case of armed forces it is five years and that is the decision the government has taken. This itself gives personnel certain advantage," he said. On the one member judicial committee, the minister said he had asked for shift extension. Groups of former serviceman have been calling the five-year revision a distortion of the definition of OROP, and have approached the Supreme Court on the issue.